Create NSW has announced the sixty-eight recipients sharing nearly $50 million in funding from Round One of the Regional Cultural Fund. Recipients from the round spanned 9 regions across the State, with almost double the amount originally announced being provided due to the outstanding quality of the applications. Funds have gone to infrastructure and redevelopment projects ranging from major new exhibition and performing arts spaces through to the refurbishment of libraries and museums and smaller, grass-roots community projects. Administered by Create Infrastructure, the fund was established to ensure regional NSW received its fair share of arts and cultural infrastructure. Create Infrastructure Executive Director Craig Limkin said investing in arts and culture programs and facilities would provide recreational and educational benefits as well as increased cultural tourism, in turn helping arts enterprises expand their networks and enter new markets. 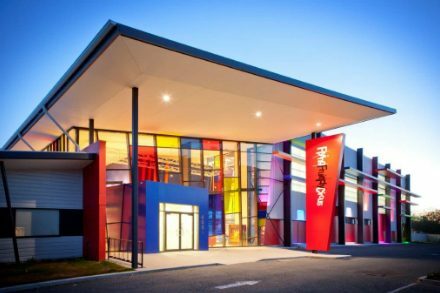 “Strategic investment in arts and cultural facilities in regional NSW drives dynamic country towns and regional centres,” he said. The second round of the fund is now open for applications and offers applicants a share in $47 million in funding, including up to $5 million specifically for regional public library infrastructure projects, plus support for the creation and installation of artist-led public art. Through a streamlined application process, Round Two invites applications from two funding categories: projects with an estimated total cost of up to $250,000 and projects with an estimated total cost of more than $250,000. Applications close at 12pm on Friday 21 September 2018 and applicants are encouraged to read the guidelines here. More Regional Cultural Fund information, templates, tips and support is available online at www.nsw.gov.au/regionalculturalfund and if you have a specific question, you can contact the team between 9am and 5pm, Monday to Friday on 02 8289 6575 or via email at regional@arts.nsw.gov.au. Download the full list of Regional Cultural Fund Round One Recipients.